This handmade creation is offered in partnership with NOVICA, in association with National Geographic. Angel Ceron honors Tlaloc, god of earthly waters and fertility, with a handcrafted ceramic figurine. 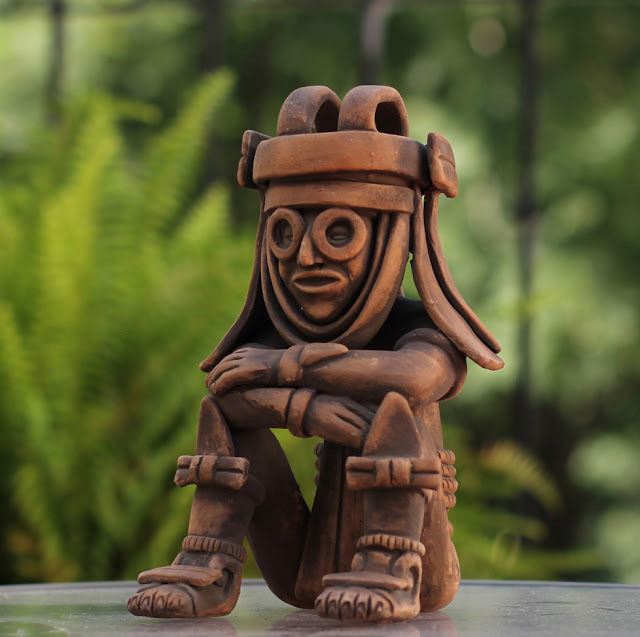 The people from Mexico's Teotihuacan culture believed Tlaloc to be responsible for drought as well as for floods, as seen in this figurine.